The receptor-like cytoplasmic protein kinases (RLCKs) are plant-specific proteins encoded by almost 200 genes in the Arabidopsis genome. Despite of their high number, the available information on the potential function of RLCKs is very limited. In this report, the sequence analysis and the gene expression pattern of 14 members of one of the Arabidopsis RLCK families (RLCK class VI) are described. Sequence comparison indicated that gene duplication played a significant role in the formation of the kinase family and that several members carry an N-terminal “universal stress protein” (UspA) domain. 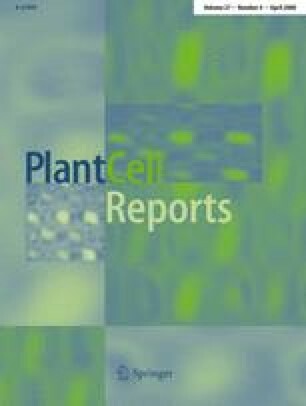 In order to gain insight into the potential function of the RLCK VI kinases, real-time quantitative reverse transcription-polymerase chain reaction (qRT-PCR) was used to determine the relative transcript levels in the various organs of the Arabidopsis plant as well as under a series of abiotic stress/hormone treatments in seedlings. The obtained data revealed the differentially regulated expression of the genes in agreement with a high variability of sequence elements in their promoters. The divergent expression patterns indicate that the encoded kinase proteins may be involved in a wide variety of signal transduction pathways related to plant development and stress responses. The significance of gene duplication and expression divergence in the extension of the Arabidopsis RLCK VI family during evolution is discussed. The online version of this article (doi: 10.1007/s00299-007-0494-5) contains supplementary material, which is available to authorized users. This work was supported by grants from the Hungarian Scientific Research Fund (OTKA T49491, IN64230). A. Fehér is thankful for the support of the “János Bólyai” research fellowship.